NEW YORK — It doesn’t count as more than a tie in the standings, but David Quinn and his bunch might be feeling as if they were winners in this one. Trailing by two goals after two periods, the No. 11 Boston University men’s hockey team rallied for three goals in the third period to finish with a 3-3 draw against No. 16 Cornell University at Red Hot Hockey. 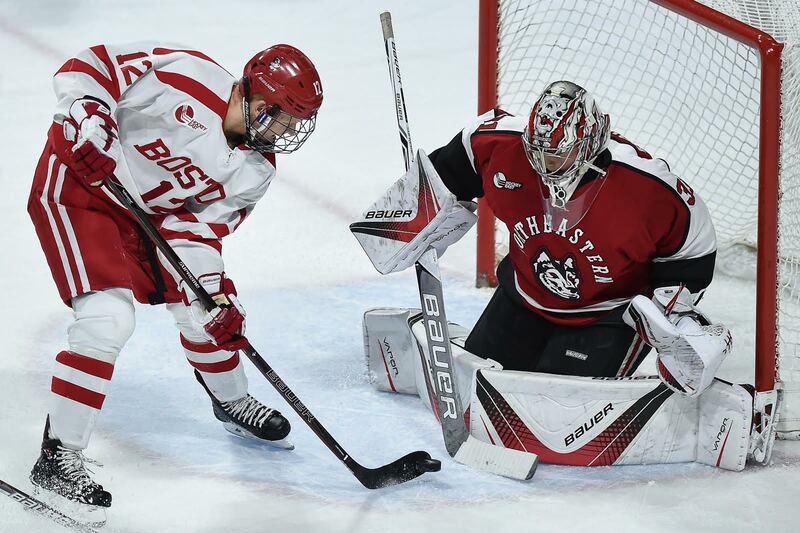 The Terriers (7-4-3, 3-2-2 Hockey East) did win in a subsequent shootout after a scoreless overtime, and thus won the Kelley-Harkness Trophy for the second consecutive time. 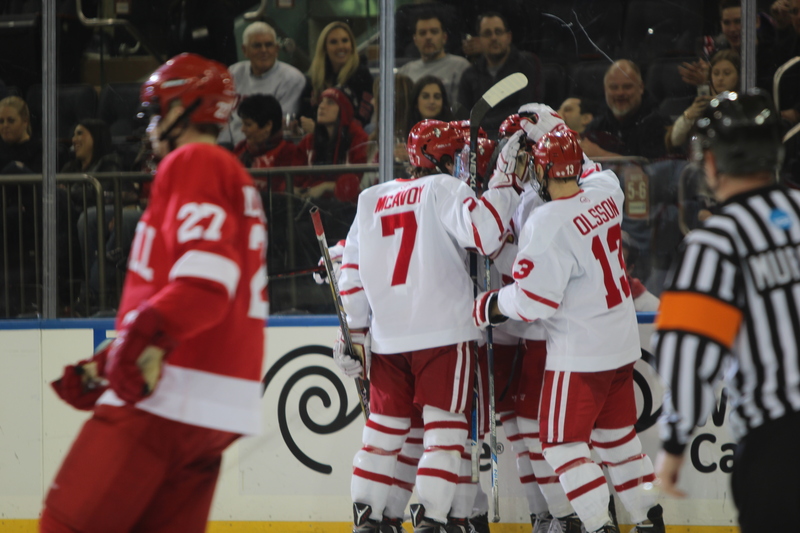 BU remains unbeaten in the biannual game with Cornell (6-1-2) at Madison Square Garden with a 3-0-2 record. We’ll take a look at what went right and wrong for BU in this Manhattan edition of Pluses and Minuses. Sophomore forward A.J. Greer hadn’t scored a goal in a game in seven months. Freshman winger Jordan Greenway was scoreless with BU before Saturday night. Both came through for for the Terriers on the big stage. Greer and Greenway scored their first goals of the season in a frantic three-goal third period, helping BU earn a point for the eighth time in nine games. Judy has more of a breakdown of their success in her sidebar. Exiting after the first period of a Nov. 14 game against No. 1 Providence College, sophomore forward Nikolas Olsson sat out the last four games with what the team called an upper-body injury. He returned to the lineup Saturday and made an impact with the third line, especially in the third period. Olsson skated along the right-wing boards and made a crisp pass to center ice that helped set up Bobo Carpenter‘s goal at 5:36 of the third. 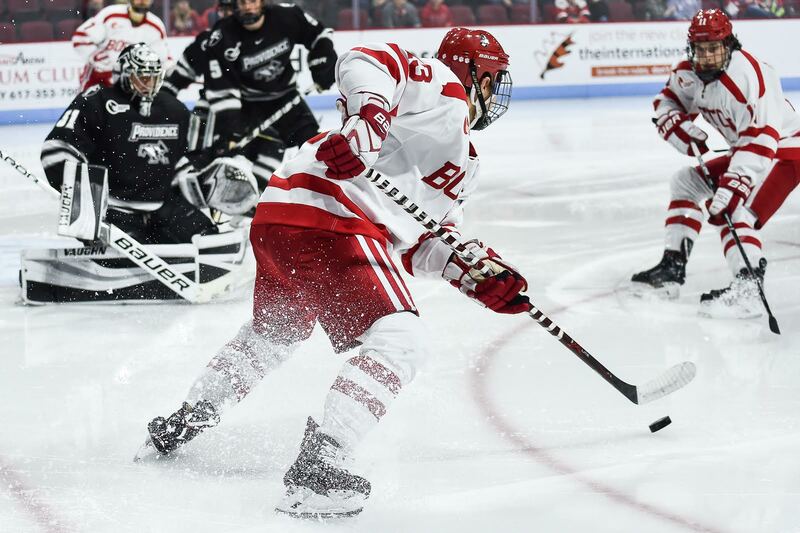 The goal started a swing of momentum in BU’s favor, as the Terriers scored three minutes later on Greer’s goal, one that was also set up by Olsson. The third line, as a whole, totaled five points and nine shots on goal during Saturday night’s contest. “I think it’s a collective effort,” Greer said of his line. “The defensemen moved the puck up quick, and the first couple of shifts, we thought we held our stick too tight so we were kind of nervous, but then as the game went on we started working down low and just doing our job and using the back of the net. It’s been a long stretch of tough games in November for BU, which has now played a top-20 opponent in three consecutive weekends. The Terriers came away with five points in those five games, earning one win and three ties in the process. Though he would’ve liked to see his team take more wins out of these recent games, Quinn said after Saturday’s tie that he is pleased with where the team is headed as it moves to the second half of the year. They didn’t win this time, but the Terriers still haven’t lost a Red Hot Hockey game since its inception in 2007. BU has earned eight of 10 possible points in the five games played against Cornell, and has now won the Kelley-Harkness Trophy both times since it was created in 2013. 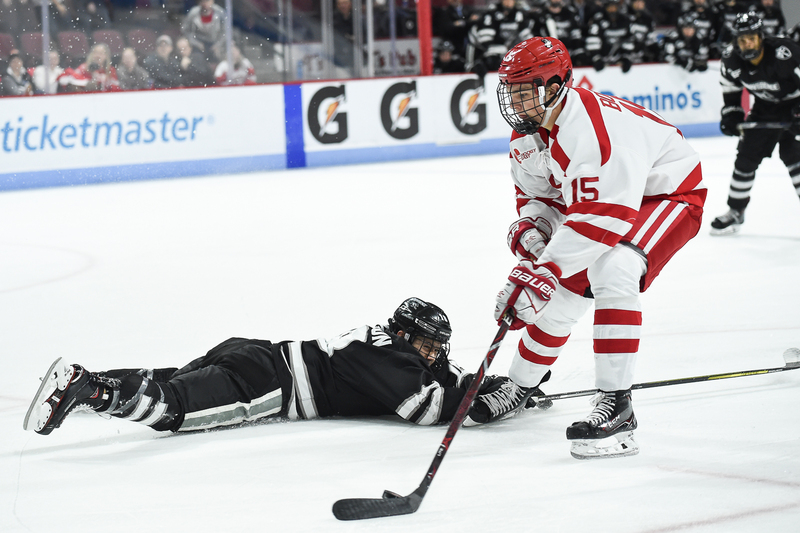 A 20 percent success rate on the power play is usually about average, and that holds true for the Terriers, who are sixth in Hockey East in that category. Average, however, hasn’t been good enough, and Quinn acknowledged this postgame. BU went 0-for-4 with the extra man against Cornell, but did garner 14 shots on goal. But the problem wasn’t getting the puck to the net, it was about finishing, or lack thereof. There were power-play opportunities for BU in the second period after each Big Red goal, but neither were converted. The same went for the man advantages in the third period and overtime. It wasn’t as if BU was completely outplayed in the first period, but the game just felt slow, and the Terriers never really got in a rhythm in the first 20 minutes. BU did actually lead in shots at 10-9 after one, but there were few high-percentage opportunities. The same could be said for the initial minutes of the second, where Cornell broke through with two goals. Tonight’s beginning could’ve had to do with nerves, as Quinn admitted even he was battling with “heart palpitations” on the bench.